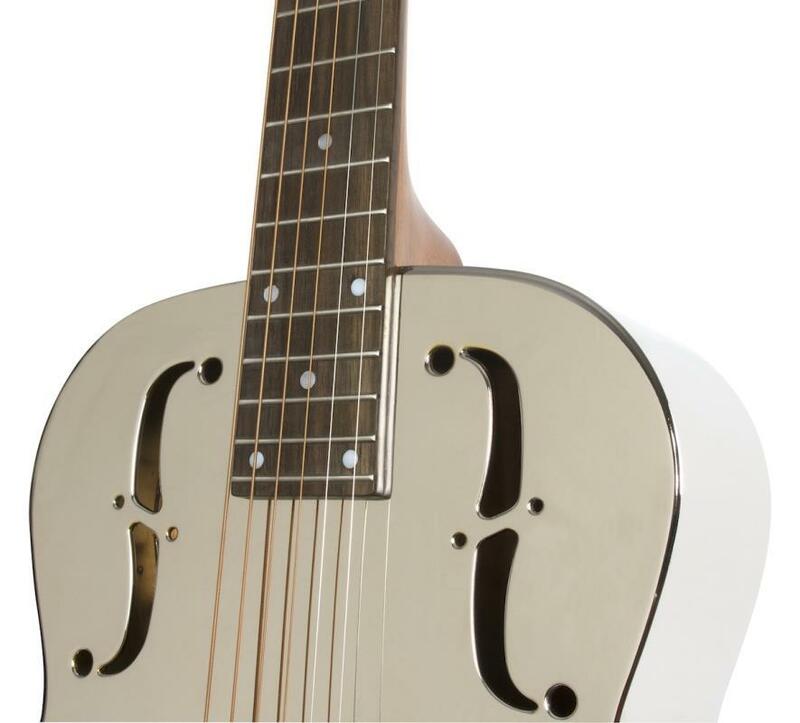 A lassic resonator guitar from the only and only Dobro®. The Dobro® Hound Dog M-14 resonator guitar features the renowned style and sound of an American original that's been dazzling and inspiring musicians since the late 1920s. 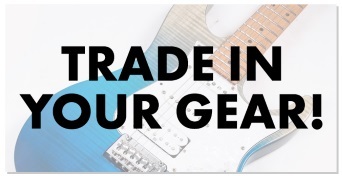 There are a few guitars that can cross generational lines and attract the instant attention of players everywhere no matter what style of music they play. 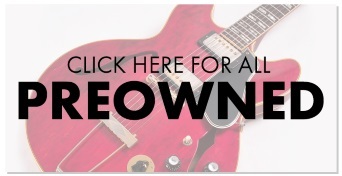 In the world of electric guitars, everyone wants a Les Paul. And in the world of acoustic guitars, every player wants a great metal body resonator guitar. The Dobro® Company, much like Epiphone, is one of the revered names in the history of American guitar makers. And the new Dobro® Hound Dog M-14 Metalbody, brought to you by Epiphone, is the perfect instrument for players who want the beautiful articulation of a metal body guitar for blues, fingerpicking, jazz, or even light slide for classic Delta or Hawaiian styles. The body of the Dobro® Hound Dog M-14 is made from Bell Brass with nickel plating whilst its tone is rich and full with quick decay that makes both fingerpicking and slide smooth and easy in all registers. The Mahogany neck has a natural satin finish with an easy-to-fret 1960s SlimTaperGäó neck that's joined to the body at the 14th fret with Neck-Stick Construction. The Rosewood fingerboard has pearloid "dot" inlays with 19 medium frets, a 12" radius, and a bone nut. The first generation of original Dobro® instruments look great but often suffer from warped necks or poor intonation. The modern new Dobro® Hound Dog M-14 does away with all of those old problems thanks to a dual action adjustable truss rod and bone nut which makes it easy to set up the Hound Dog M-14 to any style. The strings sit on a Hard Maple saddle with an Ebony cap. 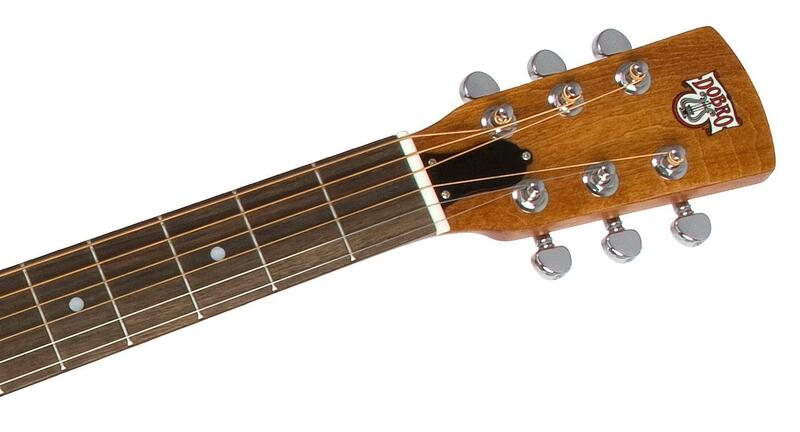 The headstock has a Rounded "Dobro" shape seen on rare (and expensive) vintage models. The Dobro® Hound Dog M-14 Metalbody also has a vintage styled 4-color "Dobro" decal with the iconic harp logo. Tuning the M-14 is made smooth and intuitive with Grover® mini-RotomaticGäó machine heads with an 18:1 ratio. And the Hound Dog M-14 comes ready to play with D'Addario EJ42 medium gauge strings. Discover an American icon made new all over again with the Dobro® Hound Dog M-14 Metalbody!